Επιτέλους, μέσα σε αυτό το περιβάλλον κακών μαντάτων και ειδήσεων, ένα καλό νέο: Τα δύο σημαντικότερα κείμενα διεθνών σχέσεων κυκλοφόρησαν στα ελληνικά (εκδόσεις Ποιότητα). Για ένα ακόμη λόγο (και αυτά) τα πρότεινα εγώ για μετάφραση και κυκλοφορία στα ελληνικά. Τιμήθηκαν δεόντως: Κατ' αρχάς, τα μετάφρασε με τρόπο που δεν μπορούσε να είναι καλύτερος ο Κώστας Κολιόπουλος. Το Ο Άνθρωπος, το κράτος και ο πόλεμος έγραψε μια εξαιρετική εισαγωγή ο συνάδελφος Καθηγητής Ηλίας Κουσκουβέλης. Το Θεωρία διεθνούς πολιτικής έγραψε ένα εκτενές εισαγωγικό δοκίμιο ο συνάδελφος Καθηγητής Αθανάσιος Πλατιάς. Επειδή ότι γράφτηκε για τις διεθνείς σχέσεις λίγο πολύ αφορούσε αυτά τα δύο κορυφαία βιβλία, αξίζει συγχαρητήρια σε όλους τους συντελεστές της έκδοσης των δύο αριστουργημάτων. Κάτι ακόμη: Έρχεται ο Waltz στην Ελλάδα και θα αποτελέσει ένα σημαντικό πολιτικοστοχαστικό γεγονός. Εδώ παραθέτω αυτούσια την ανάρτηση των εκδοτών. Πιο κάτω παρατίθενται σύνδεσμοι και το κείμενο συνέντευξης του Kenneth Waltz. «Ευτυχώς που ο Καθηγητής Waltz δεν είναι απλώς εκπαιδευμένος στην πολιτική θεωρία, αλλά συνάμα είναι και ικανός μελετητής της διεθνούς πολιτικής που κατέχει τη σύγχρονη βιβλιογραφία και τα ανεπεξέργαστα δεδομένα του αντικειμένου. Έτσι, έχει τη διανοητική ικανότητα να αναλύσει τις συνεισφορές των πολιτικών φιλοσόφων και επίσης να αποτιμήσει το πόσο σχετικές και πόσο επαρκείς είναι για την κατανόηση του πραγματικού κόσμου της διεθνούς πολιτικής». Welcome to a Conversations with History. I'm Harry Kreisler of the Institute of International Studies. Our guest today is Kenneth Waltz, who was the Ford Professor of Political Science at Berkeley. He also taught at Swarthmore and Brandeis, and now is Adjunct Professor of Political Science at Columbia University. Professor Waltz is a former President of the American Political Science Association and a re cipient of its James Madison Award for Distinguished Scholarly Contributions to Political Science. He's the author of numerous books including Man, the State, and War; Theory of International Politics; Foreign Policy and Democratic Politics; and, co-authored with Scott Sagan, The Spread of Nuclear Weapons. Before we talk about your first book, what exactly does a political theorist do? Thinks. There are two kinds of political theorists, really. One is a political theorist who writes about other people's political theories. And that, of course, in the traditional political theory field, is what is done mostly. It's a reconsideration of Hobbes on this point, or Locke on that point. The other thing, if one wants to try to develop theory or promote its development, is to think about ways of doing that. [My] first book was really a sorting out book, and the second book was an attempt to develop a theory of international politics in a sense in which it had not been developed before. Before we talk about those two books, help us understand, first, how does a person prepare to do theory? What kind of curriculum should one undergo to do that in a satisfactory way? If you want to deal with theory as theory and not as the history of political philosophy -- which, incidentally, is a part of the field that I love, and it's a marvelous literature, but I didn't feel inclined to rehash it -- if one wants to develop theory, the direct route is to read a good deal of philosophy of science and take courses. Good courses are available in the philosophy of science. The first requirement, if you're going to work on a theory or the improvement of somebody else's theory, is to figure out what a "theory" is, which very few people seem to do. I've spent a lot of time reading the philosophy of science, because it's a very difficult question: What is a theory? What can it do? What can it not do? How do you test its validity or seeming validity? It's a profound and difficult subject in its own right. It also is a field in which there is great literature, and it was a pleasure for me to read in the philosophy of science, and not to have to read a lot more political science. Are you allowed to say that as a former president of the American Political Science Association? So what does a theory do? First, in order to have a theory, you'll have to have a subject matter, because you can't have a theory about everything. There's no such thing as a theory about everything. So you'll have to say, " I'm going to try to develop a theory of, in this case, international politics." The first question is, how can you think of international politics as a domain in its own right, as something that you could possibly have a theory about? And how do you decide that you can do that? You will have to figure out a way of defining it as an autonomous field of study. The closest comparison is the development of economic theory, where, before the physiocrats (that is, before roughly 1760), economists wrote about all kinds of things, and mostly at the level of bookkeeping, of what we might now call accounting -- family and business accounts, that sort of thing. It was only with the physiocrats, who greatly influenced Adam Smith, that the concept of an economy as something that could be studied in its own right developed. Once that concept existed, then it became at least possible to have a theory about how national economies work: what regularities appear, what repetitions occur, how you can think of it as a self-sustaining enterprise. The breakthrough is the physiocrats, and then the great follow-through was Adam Smith. So if you're going to do theory of international politics, then at one level you probably have to be grounded in the history of the domain, so to speak. I don't see how you can do it without knowing a good deal of history. But the main thing is to have a conception of international politics as something that can be studied in its own right. It's something that, for example, two major figures in the field -- Hans Morgenthau and Raymond Aron, a Frenchman -- thought was impossible. How can you isolate international politics even for the purpose of study from everything else that goes on? Their answer was, you can't. In that case, it's not possible to develop a theory of international politics. International politics is something that's influenced by everything else -- a national economy, national politics, international politics -- and it's all interrelated, there's no way of separating it. So the first requirement was to develop an idea of the structure of international politics, which would make it possible to think of international politics as a subject matter that could be studied in its own right. That's what I did in The Theory of International Politics. Now, how does one then evaluate a theory? Is "usefulness" a good way to evaluate a theory? How do you know when a theory is useful? Whether or not a theory is useful is decided by the body of people who find it worthwhile to use the theory or to argue about the theory. As Steve Weinberg, who's a Nobel Laureate in Physics and a very reflective physicist, has said, ultimately, the test of a theory is that people (meaning the people in the field) find it worth dealing with, arguing about, criticizing, trying to apply. And the purpose of a theory is to explain what's going on -- how the order hangs together. Clarify that for us. What a theory does is present a mental picture of a part of the world, and in that picture are identified the major causal factors at work. The theory specifies the relations among those, and the necessary relations as they're necessary within the terms of their theory, among those major causal forces, which we often now refer to as variables, (adapting a scientific terminology that's not always useful). That's a simple way of putting it. Then you can compare that picture and the supposed causal forces at work with the real world. That's always a problematic exercise, because theory is very simple. What theories do is leave most everything out. You're simplifying, you're looking for what is salient, what are those central propelling forces. Obviously, they're not the only forces at work, so you've got that problem that natural scientists have, too; but they can usually, or often, control for perturbations that come in from outside the system. Whereas in politics, in international politics in particular, you can't. So it makes for endless argument and a lot of fun. The theory has an economy about it, because at one level you can say, "Well, there's so much going on in the world, let's put it all into theory." But that's not the game here. In other words, there's not a one-to-one relationship, this not an effort to replicate everything that's going on. If it were, then the ideal theory would be identical with the real world, right? And, instead, theory is a simple instrument which you hope to be able to use in order to understand and explain the real world. The emphasis is on explanation, not on prediction. Prediction is nice. If you can predict, fine. But the key requirement: if a theory is not able to explain what's going on, then it's not theory, or it's a worthless theory. It's not a theory at all. Let's talk about your first book, Man, the State, and War. There, the problem was what? The problem was very simple. For me, political theory was my major, and you had to have a second field. I chose international politics because, having worked in international economics, it gave me some kind of a start. But I was keeping it to a minimum. There was a professor at Columbia at the time who was accustomed to making deals with people who are only minors in the field, that you could cover certain things and leave others aside. We worked it out: I would study European diplomatic history, imperialism, and so on. I would not do international law and organization, which I never found attractive. And then he got sick, so he could not appear for the oral exams of people who were minors. The alternative was William T.R. Fox. So I went to see him and I explained the arrangement that I had made. He said he had never heard of any such arrangement. So he called up the departmental secretary, who knew everybody and everything that was going on in the department, and she said, "Yes, Professor Peffer did customarily make such arrangements with minor students." And I can still remember this. Bill Fox, as I came to call him later, hung up, turned his chair toward me and said, "Nevertheless, if you're going to do international politics, you're going to do international politics." I had no choice. I had completed my reading in the minor field, I thought, and was going to spend the remaining few weeks on my major interest, political theory. And instead, I spent those few weeks reading as widely as possible, with my wife's help. She was getting books out of the library for me in the field of international politics, generally. I could not make head or tail of it. It was a most confusing literature. Finally it came to me. I still have somewhere the little piece of paper on which I wrote this down. The reason these people are confusing is because they're thinking in different causal terms. Some are thinking that the causes of what goes on in international relations are rooted in human beings, what human beings are like. And others are saying the causes are found in states. That good states don't fight wars, because they are democratic; bad states fight wars. And then the definition of good and bad varies; for a Marxist, it's a socialist state that is the good state. For a liberal, a good state is democratic. So everything is rooted in what states are like. And then there's the third way of looking at it, that it's at the international, political level that the causes are found, and although the causes do operate at those two other levels, they operate in this context, and the context is extremely important. So, in summary, you labeled each a different image. So image number one looks to the causes of war in the nature of man. Image number two looks at the causes of war in the nature of the state, whether it's a democracy or authoritarian, or whatever. An authoritarian government, dictatorship, or whatever; right. But the third realm looks at international politics as a separate political domain. So, hence, an opening to begin looking for a theory. That's right. I remember people, specifically a professor at Oberlin, George Lanyi, saying to me, "What's going to be the sequel to Man, the State and War?" And I said, "I don't have an idea about how I could write a sequel." From 1959 until the late sixties, I didn't have any sequel in mind. And then I began to think -- I don't know why these things develop in one's mind; who knows? -- I began to think of a way of asking myself, at least, the question of how might a theory of international politics be possible? And that's when I began to read more widely in anthropology and very widely in the philosophy of science. I finally developed the notion. It took a period of years to develop a notion and fill it out, figure out ways of presenting it effectively and so on, and that is what one finds in the book Theory of International Politics. We'll talk about that in a minute. But I can't resist asking you something about Man, the State, and War, because it appears, superficially, that in one sense you're rejecting the first two images out of hand. But as I was rereading it, I saw things differently and I just want to be clear about this. You're saying in Man, the State, and War that the underlying cause of war is the third image, whereas the first two images are immediate causes. So there is a continuing interplay between them, even though, really, the thrust of the analysis is for the third image. Okay. We can come back to those images in a minute when we're talking about American policy. You mentioned that you set about to create a theory of international politics. What did you conclude? Help us understand by talking a little about your theory. What is the nature of this realm of international politics? The structure of the international political system is defined first by its organizing principle, which is anarchy. Some people would think of that as a disorganizing principle, but it's a principle that tells one how the major units of the realm relate to one another. The relation is one of anarchy, as opposed to hierarchy. It's not an ordered realm. It's not a law-bound realm. It's an anarchic realm in which the various units have to figure out for themselves how they're going to try to live with one another, and how they're going to pursue, specifically, and manage, ultimately, their own security worries. It is described as a realm of self-help: if you don't do it for yourself, you cannot count on anybody else doing it for you. They may help; they may not. You don't know. You can't count on that. You're on your own. The second defining principle is by the distribution of capability among those units, with the more capable ones, of course, shaping the realm, posing the problems that the others have to deal with. The analogy there, of course, is between international politics on the one hand and ologopolistic sectors of an economy on the other hand. It's not a purely competitive realm. It's one in which the major actors, those of greater capability, set the scene in which the others must act. Now, in layman's terms, in the first part of your analysis, what you're saying is, "There's no international police force. There's no real international court. Therefore, these things can't be adjudicated." That's really what you mean when you're trying to help us understand the organizing principles. States have to act on their own. The second part is that the key comes from understanding the capability one actor has vis-à-vis the others. So what, then, helps us understand the outcomes in a particular situation in the world? Are these the things we have to look at to understand what's going on in the world? Right. The first one, anarchy, remains. Unless, somehow, a world government is ever developed, international politics will be an anarchic realm. So that's an invariable. It doesn't vary, if you want to use those terms. The second part of the definition is where one finds the variation; that is, we've known worlds historically and, of course, we can also imagine them in the pure realm of theory, in which there are varying numbers of great powers. Always, until World War II in modern history, there were five or so great powers contending. World War II eventuated in a world in which there were only two: the United States and the Soviet Union. States acting in those two different worlds face different kinds of problems. It's interesting to recall the reflections, as it were, made in the arguments that were conducted shortly after World War II. That is, the difficulty, for example, that previous great powers -- countries like Great Britain and France -- had coming to terms with the fact that they were no longer great powers, that they were reduced to the level of major powers. The reduction directly affected their behavior. They had to adjust to a different kind of world that made a different kind of policy and different kinds of actions, appropriate or inappropriate. To use an old-fashioned terminology, they became not providers of their own security, but consumers of security provided by others. Now, a simple distinction like that explains a lot. It explains how Europe could develop as a somewhat distinct political realm. France no longer had to worry about a possible war with Germany, or, as it had in previous times, a possible war against Britain. We worried about that, and the Soviet Union worried about that. And there wasn't much they (France, Germany, Britain) could do about it. They could make marginal differences in the system, but they could not provide for their own security vis-?-vis the Soviet Union. They had to rely on an outside power, because the capability shifted so much in that way. Whole new kinds of behavior become possible for the previous great powers, because they're no longer great powers, just for that simple reason. And the United States assumed new responsibilities that it never dreamed of assuming. In the 1930s, to tell an American that America would begin to take the responsibility for the security of major parts of the world would have been laughable. Nobody could even imagine such a condition. But when the structure of international politics dramatically changed, we accommodated ourselves to that new condition. Why is it so hard in our perceptions of the world, and even [among] your political science colleagues, to understand the implications of structure in today's world? One thinks of globalization. In an earlier phase, the word was "interdependence." There is a penchant for finding new trends and then saying "the game is over" with regard to structure and these relational issues. Why is that? It's simply because the actors you observe -- who is it doing things in the world -- are states, and the interrelation of states. And those interrelations do vary. They're sometimes closer, they're sometimes looser. It's states that do things, and especially it's the states of greatest power who do things. So if you're looking at immediate causes, that's where you find the immediate causes. It takes an act of the mind to conceive of how the conditions under which these actions and interactions occur influence the actions and interactions themselves. That's not something that you open your eyes and look at and see, or read about in The New York Times every morning. It takes an act of thought to do that. Globalization is a very interesting example of this, for what appears to us as globalization appears to much of the world, no doubt to most of the world, very simply, as Americanization. In other words, the world is no longer bipolar. It's now unipolar. There is one great power and one only. This condition has not existed since Rome. That is, no country has dominated the relevant part of the globe since Rome, to the extent that we do. And, of course, Rome's realm was a part of the world. Our realm is the entire globe. Before we talk about this new position of the U.S. in the world, I want to ask you one thing. I know that you wrote quite a bit about the stability of the bipolar world. And that was unconventional when you wrote about it, because the very interactions between us and the Soviets were creating this Cold War fear that made people not want to accept what you were saying. It was structure that made you see the stability that was actually there, which many people were not seeing. That's right. Looking back, the article on stability of a bipolar world was published in 1964. It was strangely controversial. It made people mad. I first gave the paper as a talk to the Harvard/MIT Arms Control Seminar. There was a lively and heated discussion following the presentation of the simple idea that this has become a world of two powers, in other words, a bipolar world. People were saying, "No, wait a minute. Europe still counts." Well, of course, Europe still counted, but not nearly as much, obviously, as it once did, and not merely as much as the United States and the Soviet Union. Ultimately, the world's fate depended on the United States, the Soviet Union, and the interaction between them. In economic terms, it was not a world of interdependence at all: the United States and the Soviet Union scarcely traded with one another. Militarily, the interdependence was close, because each could do grievous damage to the other. And in international politics, again, a realm of self-help; ultimately, that's what counts. Within, I'd say, certainly within ten years, probably less than ten years, it became accepted: "Yes, of course, the world is bipolar." And that makes the really deep controversy by which this article was greeted all the more striking. Were you surprised when the Soviet Union disappeared? Not especially. I had been giving lectures in the United States and abroad in which I pointed out -- and this goes back to the middle to late seventies -- that the Soviet Union was in a steady decline. If you recall, the 1980s was when Reagan and those who agreed with him were saying that the Soviet Union was catching up with us, they were going to pass us. "The Soviet Union has become the most powerful military country in the world" -- Reagan, you know. "They passed us on all fronts -- strategic and conventional alike." Well, the opposite was the truth, and one could see it. I mean, you can look at data. You could look at the demographic composition of the Soviet Union, with the Russian component sinking and the non-Russian component of the population rising. You could look at the extent to which the Soviet Union was falling behind in military technology -- indeed, in technology across the board, and therefore in military technology as well. It looked to me as though the Soviet Union was on a losing course. You could also see it in the fact that the Soviet Union couldn't adjust to change, agriculture being the best example. They just kept doing the same wrong things, year after year, decade after decade. It was a very static government, making changes very difficult, and then, of course, the change, when it did come, was a big and shocking one. But I wrote, even in a book published in 1979, that the real question then in the world was, would the Soviet Union be able to keep up with the United States? I developed that idea in some publications and in a lot of talks. Again, it was very controversial. I remember, especially, being in China for the first time in 1982, and presenting this analysis to one of the institutes, which I've now talked at over the years about four or five times. The last time was in 1996, and I reminded them of 1982. What they were saying was, "Hey, the Soviet Union is getting ahead." In fact, that's why China was moving toward the United States, because it felt that the United States was getting weaker, and in order to form a block of sufficient strength against the Soviet Union, they had to edge over toward our side. Again, perceptions of what the structure of international politics is at a given time strongly influence the policy that one follows. So I was saying, "No, the Soviet Union is getting weaker. The United State is getting relatively stronger." And the people at this institute who were charged with thinking about this -- this was the purpose of their institute, to think about things like this -- had reached the opposite conclusion. They ... well, they were wrong. So we have this situation now in the contemporary world, where we're in a unipolar world. The enormity of U.S. power -- military, economic -- in comparison to everybody else is quite amazing. What is the greatest danger of such a world? The greatest danger was described very well by a French cleric, who died in 1713, who was also a counselor to rulers, who said: I have never known a country disposing of overwhelming power to behave with forbearance and moderation for more than a very short period of time. And we've seen this over and over again. It illustrates nicely how states fail to learn from history, from other countries' experiences. Time and time again, countries that dispose of overwhelming power, as we now do, have abused their power. The key characteristic of a unipolar world is that there are no checks and balances against that power, so it's free to follow its fancy, it's free to act on its whims. Since there are very minor, very weak external constraints, everything depends on the internal politics of the country in question. Now, it is possible, of course, to imagine that the internal politics would be a restraint. Checks and balances are supposed to work in the United States; it's ingrained in our thinking. But, in fact, they don't work very well, or at least in my view they are not working very well. They do not place effective constraints on what the government can do abroad. They do not place effective constraints on how much we spend on our military forces. In 1998, for example, we outspent the next eight big spenders. We're now spending about as much as the next fourteen or fifteen. And, according to The New York Times, projecting the spending until next year, we will be spending as much as all the other countries in the world combined on our military forces. Now, what do we want all that military force for? Other countries are bound to ask that question. They do ask that question. And they worry about it, because power can be so easily abused. So what is going to happen down the road? It doesn't appear that others can organize against us. Is there a danger that we will shoot ourselves in the foot? Exactly. The gap between the United States and others, technologically as well as militarily -- the military gap is simply obvious. Nobody can miss it, right? But that's based on our economy and our technological abilities. And the gaps have become so wide that no combination of other countries and no other country singly in the foreseeable future is going to be able to balance the power of the United States. Now, in the end, power will balance power, and there isn't any doubt that the Chinese are smarting, very uncomfortable with the extent to which the United States dominates the world militarily. I'm not implying that it doesn't bother other countries as well. But China, if it maintains its political coherence, its political capabilities, will have in due course the economic and the technological means of competing. But how far away is that? Certainly, twenty years. Probably more than twenty years. One final question requiring a brief answer. Other than reading your books, how should a student prepare for this uncertain future, if they're interested in international politics? One good way of doing it is read The New York Times. In addition, I think International Security is an excellent journal. What can you do? You can read, you can discuss, you can think. There's not much more you can do. Or you can become politically active. Yes, of course, you can become politically active. Well, on that note, Ken, I want to thank you very much for spending this time with us and sharing with us your intellectual journey. Κατόπι παράκλησης πολλών παραθέτω σημαίνουσα συνέντευξη του Kenneth Waltz το 1998 στην οποία γίνονται πολλές επιστημονικές και επιστημολογικές επισημάνσεις, καθώς και βαρύνουσες διατυπώσεις θέσεων για την οντολογία της πολιτικής επιστήμης των διεθνών σχέσεων. Η έμφαση, είναι δική μου. Man, the State and War? did get into high school. She didn’t graduate. It was that kind of family: a German speaking family in south-eastern Michigan. F.H. Were they first generation? and then 11 to 12.30 it was in English. math, and then drifted into economics, while still doing some mathematics. teaching tradition was not rich. And after a semester or so I had to make a decision. F.H. You were clear about that even then? K.W. Oh, even then. And then Professor Peffer got sick and Bill Fox took over. before beginning to write the dissertation about a year and a half later. F.H. So Man, the State and War arose out of your doctoral dissertation? dissertation were saying very much the same things. World War II; you were in the Korean War. F.H. And so you served in the Second World War or just in the Korean War? opportunity to transfer to Japan and spent a year in the occupying army. fighting but I was in Pusan. F.H. How would you distinguish the two? K.W. Political philosophy is more interpretative. There are some exceptions. in Hobbes. But by and large it’s interpreting the political world and beyond. policy. But that actually doesn’t hold, does it? all his beliefs, and now he’s opposing the war in Vietnam.’ That was absolutely false. J.R. Morgenthau also opposed the Truman Doctrine. Metternich. Do you hold that Kissinger was a realist? withdraw, the McCarthy period in American politics will pale into insignificance. American society will just blow up. There will be such recriminations, because we will be seen as having sold out. I said that was completely wrong then, and in retrospect I’m sure it was completely wrong. F.H. He would see it as another ‘Who lost China?’ but on a bigger scale? were never really in there very much. But we were in Vietnam for a good long time. international system would become more peaceful as a result of greater interdependence, because greater interdependence only gives states more to fight over. place and hadn’t bothered to smash up a good part of Iraq. F.H. He’d still be in Kuwait. like Iraq—get nuclear weapons, we cannot then simply bomb the hell out of them. it, because nothing would have happened. military build-up, ‘Look, the Soviet Union is weak economically—we all know that. capable, with easily added boost, of reaching Russia be placed on German soil. senile. Why would Germans want those missiles on their soil? What were they for? Soviets have a hostile China to the East and a hostile East Europe to the West. were a military threat to the US? Preposterous. more missiles than we have. We’ll give up.’ Pah! emulate Britain’s achievement in not generating an overwhelming coalition against it. K.W. Yes, and I went on to say that in both instances you can explain it. Congress actually . . .
war. It was a narrow vote, but the Senate approved. K.W. States try to maintain their position in the system. For me that’s an axiom. what will happen to you if you don’t manage to do it. Take Mussolini as an example. F.H. Where is the evidence of a coalition forming against the US? divisions, how many artillery pieces, how long will it take to mobilize and so on. to get going. It was assumed that Canada would become part of the United States. failing European unity, will become great powers within ten to twenty years. F.H. And in a rival strategic position to the United States? don’t want to be vulnerable or dependent, you’ve got to help yourself. balance based upon countervailing rival strategic blocs? will be a lot of similarities. It’s a self-help system. The system has not been transformed. ‘democracies don’t fight’ theme is suggestive but unsound. would be reductionist in your theory. there aren’t many cases in point and you do have exceptions. Take the war of 1812.
was a democracy. That was a major part of the problem. World War. Would you simply deny the relevance of such a response? the question has to be put, and answered, about going to war and not going to war. produce. I think that’s unchallengeable. of the domestic character of European feudalism. out what it is you’re trying to explain, what is this domain you’re trying to deal with. a simple theory of international politics. However, nobody’s thought of how to do it. same thing in the natural sciences. does one have to make this choice? Rousseau combines them in that sense. that theories are about something, not about everything. same probably goes for Woodrow Wilson. doesn’t have a theory of war. policy, not a conclusion of theory. whether imitation or competition or straight conquest. poses a puzzle. But then there are a lot of authoritarian countries—Franco’s Spain? might drag Spain into any war. F.H. Doyle doesn’t claim that non-democratic countries always go to war. K.W. But in the twentieth century—ask anybody that lives in Central America. F.H. Compare what the Japanese or the French or the British did or the Dutch. J.R. A few moments ago, you made a distinction between theory and interpretation. explain is precisely the agents which your own theory takes as given? fine category such as philosophy or historical interpretation. emerging and consolidating itself in the eighteenth century. K.W. Well, balance of power is an ‘institution’ in a special sense of that word. conditions are not there, well, then of course the theory doesn’t apply. economic competition will often be more prominent than military competition. does operate according to balance of power? grasped with the theory that you offer. Relations which are legitimate branches of knowledge? into being, which drives its development, and we need to understand that. physicists say is a full explanation, but only of certain phenomena. other important things, and that it doesn’t explain enough. international political theory, of economic theory and its true of physical theory. Physicists have a different attitude. They say, ‘OK, we’ve explained that, by God’. theory. They use Newton’s. It’s not as accurate, but it’s accurate enough. history’. Now, that’s very different. term theory for it. There’s international political theory, there’s feminist theory. State, and War’. One can’t legislate. People use ‘theory’ in all sorts of different ways. much North American writing at all. States. Hedley Bull’s concept, I gather, would call that a society. Very, very peaceful! international society. I really don’t think there is. is a silence on this on the other side of the Atlantic, including in your own work. the work that can be done and that now needs to be done’, what would you say? distinguish between a theory and its application. I’d invoke Keohane as an example. In his liberal institutionalism he says that the core of the theory is structural realism. That’s the only theory that there is in liberal institutionalism: the rest is application. elaborating a new theory, or enlarging a theory. reasonably sure, had thought of that—of thinking of an economy in and of itself. it in itself, then you can’t have a theory of it. R. So ‘theory’ for you has a very definite, distinctively positivist sense? discipline over the postwar period? was churned out, but I haven’t seen much progress. First: What is the feminist contribution to IR theory? theory but a sometimes interesting interpretation of what goes on internationally. Second: What is the post-positivist contribution to IR theory? K.W. I have trouble understanding the meaning of the term ‘positivist theory’. 1 Robert O. Keohane and Joseph S. Nye, Jr, Power and Interdependence (Boston, MA, 1989), p. 23. Μάιος 2013 Σχόλια και άρθρα τις μέρες της αναχώρησής του από τα εγκόσμια του Μεγάλου Δασκάλου της πολιτικής θεωρίας του διεθνούς συστήματος. Earlier this week, Kenneth Waltz, one of the world's most influential scholars of international relations, died at the age of 88. 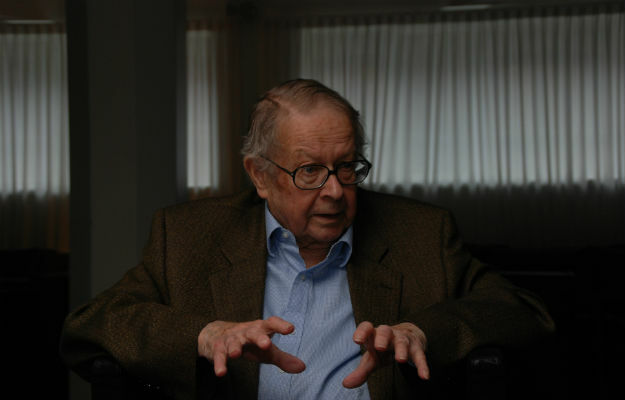 His books Man, the State, and War and Theory of International Politicsare classics in the field, and his influence on students, colleagues, and policymakers was profound. Waltz was a theorist who also delved into the most contentious debates in U.S. foreign policy, opposing the wars in Vietnam and Iraq and earning himself a reputation as a realist far outside the confines of the ivory tower. As Stephen Walt noted here last week, "Ken showed that you could be a theorist and a social scientist without joining the 'cult of irrelevance' that afflicts so much of academia." To take a closer look at Professor Waltz's career, FP has assembled this collection of short essays on his contributions to political science and beyond. Forty-six years ago, I was a first-year grad student at Brandeis University when I went to see Ken Waltz to find out what I needed to know to be his teaching assistant for an undergraduate course in international relations. "It'll be easy," I remember him saying, "because you'll be taking my graduate seminar in IR theory at the same time." It wasn't easy. His lectures to undergrads covered political theorists who addressed the international system of nation-states and how it explained the conditions of war and peace in a whole range of historical periods -- from the Greek and Italian city-states, through Bismarck's Europe, to the Cold War world of the 1960s. The graduate seminar was different: Not fewer than five books were required reading for each anxiety-filled class, and there was an optional reading list that actually induced depression. Waltz lectured the undergrads and led the graduate seminar. He did both brilliantly -- better than I had ever seen. He had great praise for those writers and thinkers he thought intelligent, and withering criticism for those he judged soft-headed or lacking the analytical capacity essential to theory. Ken was my thesis advisor until he left Brandeis for Berkeley. His own thesis had arguably become the most important book ever written on international relations theory: Man, the State, and War. His parting words to me as he sent me off to write mine were, "Bob, please don't try to write MSW, just write something serious." It was extraordinarily good advice. He was also sympathetic to my desire not to serve in Vietnam, to a point. I recall him noting that since he had been unlucky enough to have caught the end of World War II and the beginning of the Korean War, I might understand if his sympathy for my vulnerability to the draft was limited. Ken's scholarship went against conventional wisdom. He argued that the U.S.-Soviet competition that defined the bipolar structure of the postwar world was not to be deplored for its zero-sum character, but embraced for its stability. He argued that democracy does not handicap governments in the competition among nations as most observers did but actually improves a country's foreign policy. Most controversially, he argued that, when it comes to the number of states that have nuclear weapons, "more may be better." We differed on the last point, and sometimes on the key, recurring question of American foreign policy: When is military intervention justified, by which he meant, when is it in the national interest? Waltz had no patience for "liberal intervention," or what we might now call humanitarian intervention, because we could never be sure that we would succeed in making things better over the long-term. And he had little patience for supposed national security arguments that could not identify a threat to vital interests -- we are not, and therefore should not act like, an empire. Waltz was not an isolationist, but he was definitely a minimalist when it came to the use of force. Kenneth Waltz's writing has influenced the way generations of students think about international affairs. That will continue for as long as nations live in "a state of nature." But now, those of us fortunate enough to have been his students and enjoyed his mentorship have lost a most valued friend and colleague. Like other great thinkers, Waltz was sometimes the victim of false charges about what he claimed. Many who fail to read his work carefully accuse him of denying the impact of domestic politics on foreign policy. His second book, Foreign Policy and Democratic Politics, was actually all about that. A basic point of his work in general that many miss is that a theory of foreign policy is not the same as a theory of international politics. Psychological and domestic political impulses account for what nations try to do at any particular time (foreign policy). The constraining structure of the international system, however, subjects those intentions to opposing forces and thus accounts for typical results over time. States sometimes do choose policies based on ideology, culture, or leaders' idiosyncrasies that do not take sober account of their adversaries' power, but when they do, in Waltz's words, they "fall by the wayside." Wars happen because there is no higher authority to prevent foolish risks. 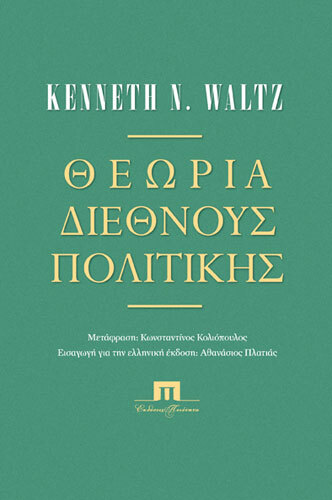 Kenneth Waltz was one of world's preeminent theorists of international relations. He was also a hugely influential nuclear strategist, especially concerning the consequences of the spread of nuclear weapons. The first observation is widely recognized; the second observation is not. Waltz, like other realists such as Hobbes and Machiavelli, was reluctantly respected for his insights about how the anarchic nature of international politics creates self-help imperatives and pressures all states to be "nasty and brutish" so that their lives will not be "short." But American security specialists have often viewed Waltz's views about the positive, "stabilizing" effects of nuclear proliferation to be radically outside the mainstream and thus not influential. But this is a narrow, inside-the-Beltway perspective, for Waltz's writings on nuclear proliferation were widely read around the globe and provided an alternative perspective that helps explain why U.S. fears about nuclear proliferation are not always shared by other governments. 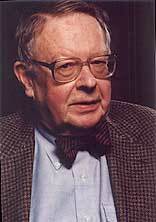 His seminal work on this subject -- a 1981 Adelphi Paper provocatively entitled "The Spread of Nuclear Weapons: More May be Better" -- presented a simple but controversial argument: Nuclear weapons are so destructive that the threat of retaliation with even a small arsenal will easily deter any state that faces a nuclear adversary. If this is true, then new countries that get nuclear weapons will behave like the superpowers during the Cold War, issuing threats and huffing and puffing in crises but avoiding war. This view was not popular in Washington, but it was popular elsewhere. I speak from experience, for I have been a long-standing critic of Waltz's perspective on nuclear proliferation. He and I published three editions of a popular "debate book" about the spread of nuclear weapons, and we engaged in spirited public debates about the subject in venues ranging from bookstores in Berkeley to lecture halls at Columbia, from State Department seminars in Washington to War College courses in New Delhi. And while my "proliferation pessimist" position -- based on theories about common organizational failures and pathologies in civil-military relations -- usually "won over" audiences inside the District of Columbia, when we traveled overseas together, he usually had the audience in the palm of his hand. They commonly cheered when he accused American officials of being ethnocentric or even racist for believing that the United States can safely enjoy the benefits of nuclear deterrence, but that other countries cannot. Government officials and military strategists in states that are developing nuclear weapons or thinking about doing so often have echoed Waltz's claim that "nuclear weapons make wars hard to start." And if a scholar's influence can also be measured by the importance of the critics he or she attracts, it should be noted that Israeli Prime Minister Benjamin Netanyahu publicly disagreed with Waltz's 2012 Foreign Affairs article, "Why Iran Should Get the Bomb," on Meet the Press. Waltz is to the study of international relations what Darwin is to the study of biology. I make this claim in terms of the sheer intellectual significance of his theoretical contribution. One cannot make sense of the biological world apart from Darwin's theory of evolution: equally, Waltz's structural framework for understanding how states interact under anarchy, with an uneven distribution of power and a desire to survive, offers a powerful theory for making sense of the international system. Neither theory explains everything in their domain -- one always needs to know more about particularities -- but both provide compelling big-picture explanations of their domains. Waltz wrote few books over a long career. He liked to say that "we don't need more books, we need better ones," and he practiced what he preached. Man, the State, and War (1959) and Theory of International Politics (1979) are both classics, with time-transcending significance and influence. The levels-of-analysis approach to the causes of war in the earlier book was a decisive contribution to grappling with the discipline's traditional core problematic, while the "parsimonious" theory in the later book had a profound impact throughout the discipline. Waltz was a stubborn defender of his theory, of course, but he did not over-claim. He was not a structural determinist, nor did he think his theory necessarily timeless. In particular, he emphasized that his was a "systemic theory" of international politics, not a "reductionist theory" of foreign policy. In other words, Waltz's theory of the international system did not tell us how the individual units in their foreign and defense policies would behave -- though he had his own clear ideas about the sorts of behavior the system would reward or punish. His views about the positive utility of the controlled spread of nuclear weapons, for example, were particularly controversial. The debates generated by Waltz's work have made the IR discipline what it is today. His work, like that of other "realists" once thought past their sell-by dates, has been and is being re-thought. We still have much to learn from him, and in that regard Ken Waltz's influence will live on not simply through his writings but through his impact on individual lives -- as a remarkable teacher, a human being who attracted loyalty, a generous friend, an intellectual giant, and a professional role model for all who knew him. He was and will remain our indispensable theorist. Ken Booth FBA is editor of International Relations, formerly chair of the British International Studies Association, and E.H. Carr Professor in the Department of International Politics at Aberystwyth University. Before I enrolled in the Ph.D. program in political science at the University of California, Berkeley in 1987, I had never learned anything about international relations theory. I took Kenneth Waltz's Poli Sci 223 in my very first semester not because I had already heard of him but because my advisor told me that taking his course was essential. In this way, Ken became the first professor to teach me IR theory. Ken's definition of theory also had a strong effect on me. He taught his students that a theory is an explanation of a law. This notion is especially important for Chinese students, who tend to use the term "theory" to refer to all kinds of political concepts. Ken's strict definition of theory helps us to distinguish between theory and political principles, policy decisions, leaders' ideas, religious beliefs, ideology, norms, etc. Ken's students do not necessarily share the same view of international politics, but their works aspire to a similar level of logic and rigor. Waltz's work has had an enormous impact in China, where structural approaches to international politics are an increasingly important school of thought. For this reason, the Chinese Community of Political Science and International Studies has decided to hold a special panel commemorating his academic contributions at its annual conference on July 6 and 7. I am sure that it will be crowded with Ken's disciples and that his work will continue to inspire Chinese scholars. Yan Xuetong is dean of Tsinghua University's Institute of Modern International Relations. Χιλιάδες αναρτήσεις σχολιάζουν αυτές τις μέρες την αναχώρηση από τα εγκόσμια του Kenneth Waltz. O Kenneth Waltz είναι χωρίς καμιά αμφιβολία –ακόμη και για τους αντιπάλους του στο πεδίο της επιστήμης– ο Μεγάλος Δάσκαλος της Πολιτικής Θεωρίας του Διεθνούς Συστήματος. Πέρυσι εκδόθηκαν στα Ελληνικά τα δύο σημαντικότερα βιβλία του: Το εμβληματικό Ο Άνθρωπος, το Κράτος και ο Πόλεμος και το Θεωρία Διεθνούς Πολιτικής. Αμφότερα εκδόθηκαν από τις Εκδόσεις Ποιότητα και περιεχόμενα, σχόλια και συνεντεύξεις του βρίσκονται στην διεύθυνση http://www.ifestosedu.gr/54waltzduo.htm. Το πρώτο το προλογίζει ο συνάδελφος καθηγητής Ηλίας Κουσκουβέλης και το δεύτερο ο συνάδελφος καθηγητής Αθανάσιος Πλατιάς. Τα Πανεπιστήμια Πειραιώς και Μακεδονίας κάλεσαν πέρυσι τον Waltz στην Ελλάδα. Παρά το ότι διένυε την 8η δεκαετία της ζωής του τα κατάφερε μια χαρά και οι επιστημονικές συναντήσεις μαζί του αποτέλεσαν κυριολεκτικά στοχαστική μυσταγωγία για τους περισσότερους έλληνες διεθνολόγους που παρευρέθηκαν στις διαλέξεις ή συζήτησαν μαζί του. Το Πανεπιστήμιο Μακεδονίας τον ανακήρυξε και επίτιμο διδάκτορα. Οι συζητήσεις μαζί του ήταν πολύτιμες. Σε αμφότερα τα πανεπιστήμια δεν έκρυβε ότι αισθανόταν γοητευμένος για το γεγονός ότι επισκέφτηκε την γενέτειρα του Θουκυδίδη. Μεθοδολογικά και επιστημολογικά ανελέητος, αταλάντευτος και ακλόνητος στις αναλύσεις του, αρνήθηκε να μιλήσει φλύαρα. Έγραψε μερικά μόνο βιβλία και τα άρθρα που ακολούθησαν αποτελούσαν βασικά απαντήσεις στα σχόλια άλλων. Βασικά, έγραψε λίγα, βαρβάτα και επαληθευμένα κάθε μέρα. Προσδιόρισε την διεθνή κατανομή ισχύος ως το κύριο αίτιο σταθερότητας ή αστάθειας. Ως ο συνεπέστερος αντιπρόσωπος της Θουκυδίδειας παράδοσης θεωρεί την σταθερότητα ή αστάθεια στην διεθνή πολιτική ως συναρτημένη με την ισορροπία ή ανισορροπία. Μίλησε, βασικά, μόνο για το διεθνές σύστημα, τις δομές του και τον ρόλο των κατανομών και ανακατανομών ισχύος. Όσα έγραψε είναι σχεδόν «νομοτελειακά». Ακόμη και ένα εκατοστό να ήξεραν οι πολιτικοί ηγέτες και η κοινωνία της Ελλάδας δεν θα καταντούσαμε εδώ που καταντήσαμε σήμερα. Για το κράτος αρνήθηκε να μιλήσει γιατί θεωρούσε ότι οι μεταβλητές της πολιτικής, των πολιτισμών και των ιστορικών διαδρομών είναι δύσκολο να σταθμιστούν για να συναχθούν ασφαλή συμπεράσματα. Δεν υπάρχει θεωρία εξωτερικής πολιτικής, υποστήριζε, αλλά μόνο θεωρία διεθνούς πολιτικής. Υποστήριξε, μεταξύ άλλων, ότι προϋπόθεση βιωσιμότητας των κρατών στην διεθνή πολιτική εν μέσω διαρκών ανακατανομών ισχύος είναι να ενεργούν με τέτοιο τρόπο ούτως ώστε να μεριμνούν για την ασφάλειά τους. Το πρώτο του βιβλίο Ο Άνθρωπος, το Κράτος και ο Πόλεμος είναι αναμφίβολα σημείο αναφοράς όλων και εκατομμυρίων παραπομπών. Διδάσκεται στα περισσότερα Τμήματα Διεθνών Σπουδών των πανεπιστημίων σε όλο τον κόσμο, κυρίως στους πρωτοετείς. «Τα λέει όλα»: Τις αναρίθμητες θέσεις για την φύση του ανθρώπου, τα αναρίθμητα θεωρήματα για τα καθεστώτα των κρατών και τον πόλεμο και για τις θεωρήσεις του διεθνούς συστήματος. Απλά, κατανοητά και γλαφυρά. Οι περισσότεροι το διαβάσαμε σαν φοιτητές στο εξωτερικό και μας χάραξε την επιστημονική μας πορεία. Το δεύτερο προαναφερθέν βιβλίο του είναι ο άξονας των συζητήσεων της διεθνούς πολιτικής μετά την πρώτη κυκλοφορία του. Όπως κάθε συνεπής διεθνολόγος της Θουκυδίδειας παράδοσης ήταν μετριόφρων, αντί-ηγεμονιστής και ασφαλώς ρητά ταγμένος κατά περιπετειών όπως στο Βιετνάμ και στο Ιράκ το 2003. Η αμφισβήτηση της συμβατικής σοφίας περί πυρηνικών όπλων στις ΗΠΑ, εξάλλου –πάντοτε βέβαια στηριγμένος στην θεωρία του– ενόχλησε και συνεχίζει να ενοχλεί πολλούς. Αναλύσεις όπως αυτές του Kenneth Waltz προσφέρονται όλως ιδιαιτέρως την περίοδο που διανύουμε. Κάθε νοήμων και καλόπιστος αναγνώστης θα κατανοήσει πόσο αφελής ήταν η Ελληνική διπλωματία τις δύο τελευταίες δεκαετίες, ποια είναι τα αίτια της συμφοράς μας και τι δέον γενέσθαι. Όλως συμπτωματικά τον προηγούμενο μήνα ολοκλήρωσα ένα εκτενές δοκίμιο το οποίο χωρίς να αμφισβητήσω ούτε μια λέξη της θεωρίας του Waltz για τον ρόλο της διεθνούς κατανομής ισχύος, στάθηκα στο δεύτερο επίπεδο, δηλαδή το κράτος και υπέστην την βάσανο εκτιμήσεων για τις προϋποθέσεις της κρατικής ισχύος. Το δοκίμιο θα δημοσιευτεί σύντομα: Π. Ήφαιστος, «Στρατηγική αντιπαράθεση στην μεταψυχροπολεμική εποχή και αστάθμητοι ανθρωπολογικοί παράγοντες της μετά-αποικιακής εποχής»* στο Μάζης Ι. 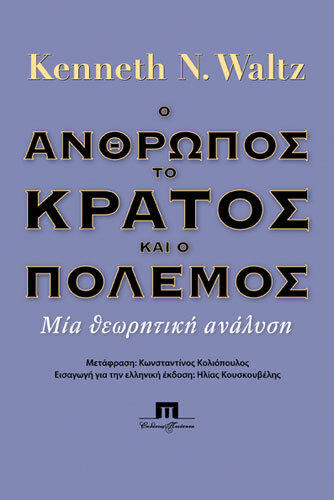 (επιμ.) Εξεγέρσεις στον Αραβομουσουλμανικό Κόσμο: Ζητήματα Ειρήνης και Σταθερότητας στη Μεσόγειο (Εκδόσεις Ηρόδοτος 2013). Παραθέτω εδώ την περίληψη στην αρχή του δοκιμίου. Τέλος παραθέτω, δέκα αρχές απόρροια της ανάλυσης του Kenneth Waltz όπως τις συνόψισε ο συνάδελφος καθηγητής Αθανάσιος Πλατιάς στο έξοχο εισαγωγικό σημείωμά του στο Θεωρία Διεθνούς Πολιτικής.